elder than this, who yet is no dearer in my account. Meantime we shall express our darker purpose[s]. Goneril, our eldest born, speak first. (Aside) What shall Cordelia speak? More ponderous [richer] than my tongue. Nothing will [can] come of nothing. Speak again. [To love my father all]. With my two daughters’ dowers digest this third. Freedom [friendship] lives hence, and banishment is here. That justly [rightly] think’st and hast most rightly [justly] said. Nor will you tender less? Most choice forsaken, and most loved despised! Time shall unfold what plighted [pleated] cunning hides. Who covers faults, at last with shame [them] derides. him as this of Kent’s banishment. We shall further think on’t. We must do something, and i’ the heat. moiety: portion; that is, they each will receive equal amounts so neither one will benefit more than the other. out: away from home, another country? darker purpose: secret intention for this meeting. In the opening lines Gloucester and Kent show that they are already aware of the king’s decision to divide the kingdom. His “darker purpose” must then concern his giving a third part to Cordelia and her new husband. Unburden’d: Lear intends to give over the responsibilities of ruling to his three daughters so that he will no longer bear the burden of leadership in his few remaining years. “Crawl” is ironic, as Lear will in his old age become a child again, depending on his daughters to care for him. nursery: care. This raises an unanswered question: did Lear intend to go live with Cordelia and her new husband in another country, or did he hope that she would refuse to marry in order to stay with him and “love her father all”? who stirs? : quickly, someone, call France and Burgundy (Lear is rather impatient). reverb no hollowness: reverberate like a hollow drum; that is, Cordelia’s lowly (humble) speech does not indicate that her heart is empty of love; based on a proverb, “The empty vessel makes the greatest sound” (Henry V, 4.4.66). 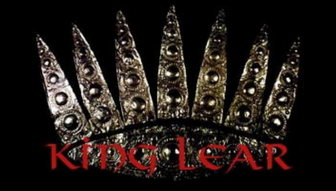 surrender: If Lear continues to exercise his former authority with such bad behavior, then his abdication of the throne will be more trouble to us than it’s worth.